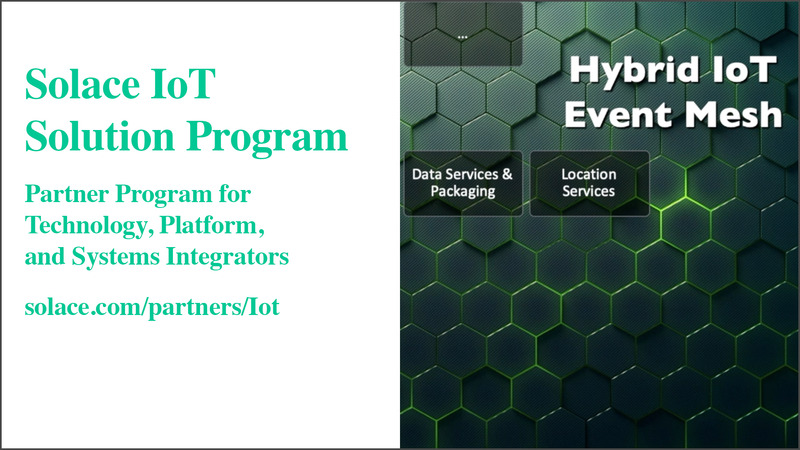 Join our IoT ecosystem to leverage leading technologies and deliver industrial-grade IoT solutions. We believe industrial-grade event distribution is the mission-critical foundation of IoT solutions. Organizations face the challenge of creating IoT-driven business models that scale while maintaining cost efficiencies, but IoT solutions are so complex and diverse that no single company can meet every need. We create pre-integrated IoT solutions by partnering with those who have proven their ability to enable IoT through technology, platform and services offerings. Software providers who provide IoT-related functionality such as device management, visualization and streaming analytics, API management and IoT security. IoT platform providers who support global deployments ranging from thousands to tens of millions of concurrently connected devices, and very large data/event volumes. Systems integrators who design and deliver custom IoT solutions with the agility and scalability it takes to successfully profit from entering the IoT economy. We offer three partnership models: referral, resale and OEM. We then co-create materials to help salespeople open doors and close deals, and a go-to-market plan to drives awareness.